This is perhaps the best advertising money can’t buy. If you don’t already get these companies products, you might want to. Remember it took the FDA 30 years to admit that vitamin C was helpful in combatting another virus…the common cold. BTW, I just started with doTerra. So if you want to get into that, please feel free to email me about it. Young Living has the MOST phenomenal product for helping with eye issues, it’s called Ningxia Juice and it has been tremendously helpful in halting ocular migraines. I can also help get you into that line, although I am not a member. Dr. Rima has been fighting the FDA longer than many of us have been alive. While I haven’t used their products, I think I am going to get some. I guess I take the contrarian position to the US Federal Government’s agencies. If they are against it, there might very well be good reason to use it. If they recommend it, probably best to stay away from it. Also, my opinions, experiences, thoughts and existence have not been tested, approved, proven effective, nor sanctioned by the FDA. There are currently no approved treatments, cures or vaccines for Ebola. 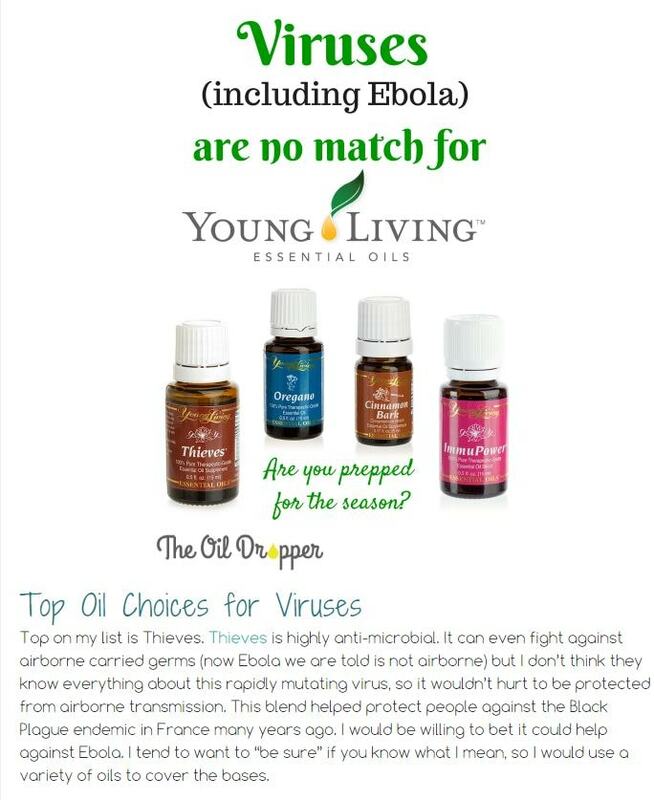 Natural Solutions Foundation, Young Living, and dōTERRA International LLC all produce products that were promoted on the Web as cures for a variety of ailments, all without FDA approval. The products in question, the letters note, are not FDA-approved drugs, yet their marketing makes the sort of claims that only approved drugs may make — that they can be used to treat, mitigate, prevent and cure diseases. According to the three letters, those promotions — either on Web sites owned by the companies or on sites and accounts used by paid “consultants” promoting and selling the products — included Pinterest messages, Facebook postings and blog posts claiming products such as “CBD Organic Dark Chocolate Bars,” “Clary Sage” essential oils and the “Family Protection Pack” can do what has not yet been done: Treat, cure or prevent the deadly Ebola virus. According to the FDA, these promotions — especially ones related to Ebola — are inaccurate but not unexpected. “Oftentimes with public health incidences, like Ebola or even during H1n1, we see products that are marketed, often online, that claim to treat or cure the disease…without FDA approval,” FDA spokeswoman Stephanie Yao said in an interview, adding that “these sorts of things pop up” in almost any public health crisis. In August, as the Ebola outbreak was accelerating in West Africa, the agency issued a preemptive warning to consumers, emphasizing that there is no FDA-approved vaccine or drug for the prevention or treatment of Ebola. The letters issued this week are something of a follow-up to that concern, Yao said, based on the results of online monitoring from the agency’s health fraud unit. The FDA will continue to monitor for similar claims. In a statement provided to The Washington Post, a spokesman for Young Living said that the company was “cooperating fully with the FDA regarding its inquiry.” Young Living “members,” the statement continued, “are provided specific instructions on how to promote our products to their customers. In the coming days we will be contacting all our membership to ensure that they understand how to best use our products and remain compliant with regulatory directives. 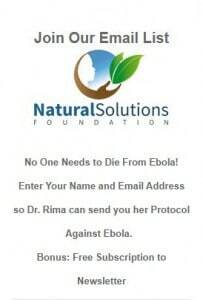 One company targeted by the FDA, Natural Solutions Foundation, had materials on related Web sites promoting the company’s products as cures to several serious diseases and viruses, including Ebola. According to the FDA, all three companies have 15 days to respond to the documented violations and notify the agency of any corrective actions. If the companies are unable to correct those violations within 15 days, they’re required to explain why and provide a timeline for completion. If they don’t take corrective action, the FDA could take any number of enforcement actions against the companies. Those include seizure, or possible criminal charges. We’ve reached out to all three FDA-warned companies for comment. The agency’s three letters are available here. And that nasty respiratory virus succumbed to oil of oregano and col. silver, too at our house.